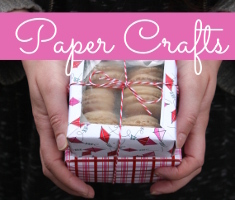 Snowflake dies are some of the most versatile for holiday crafting. 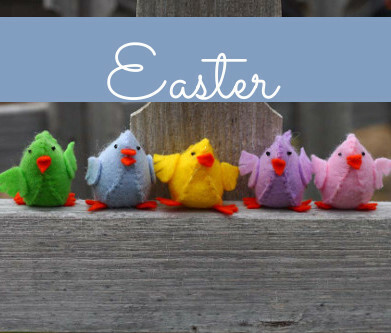 You can use them for cards, tags, embellishments…..the list goes on. 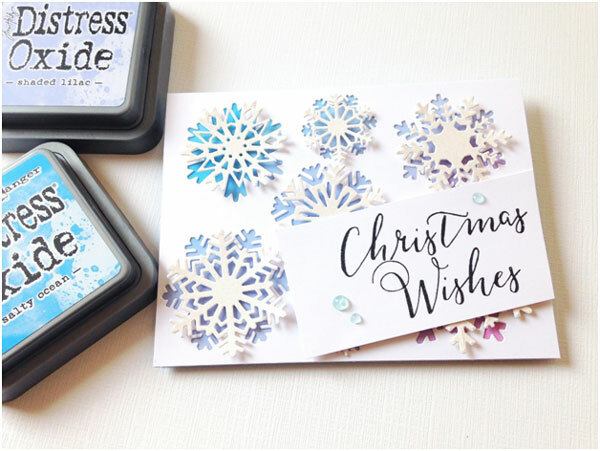 For today’s project, I’m using the Sizzix Mini Paper Snowflakes die set to create a shimmery background for my Christmas sentiment. 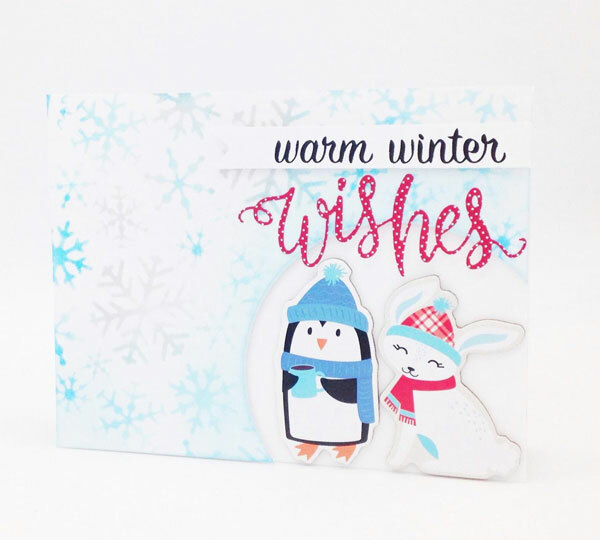 This entry was posted in Cardmaking, Christmas, Rubber Stamping and tagged Card Making, Christmas cards, Die Cutting, Distress Oxide, Rubber Stamping, Snowflakes, Stamping, Tim Holtz Distress Oxide on November 10, 2018 by Heidi. 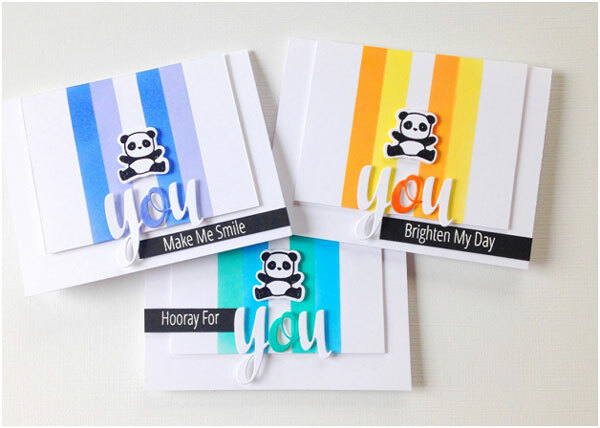 Having a small stack of very basic greeting cards around for last minute occasions is always helpful. 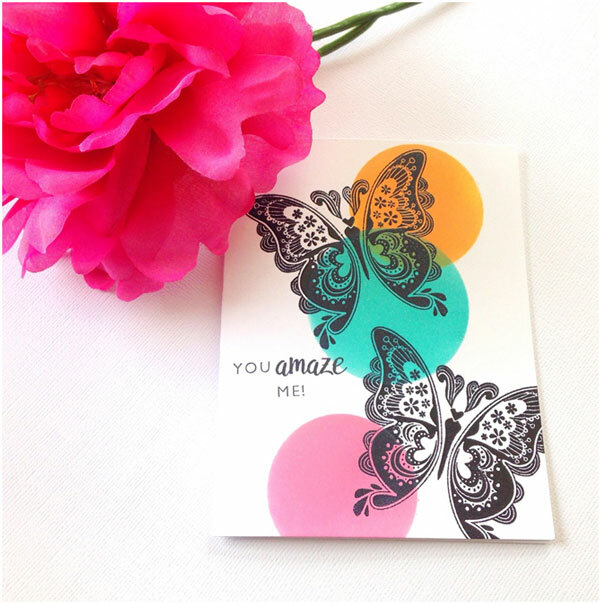 Maybe a friend needs some encouragement or your sister got a promotion—you have a card ready to go! 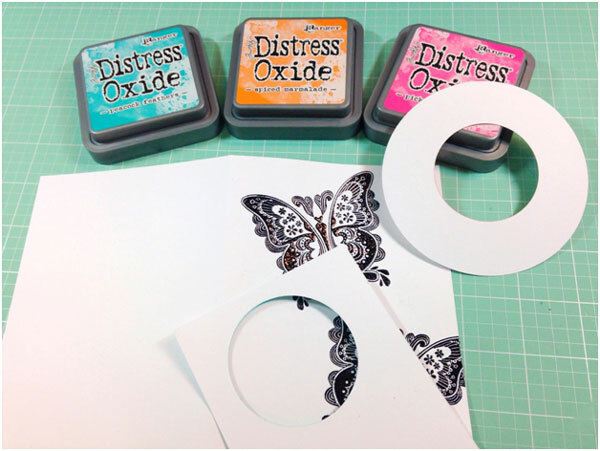 This entry was posted in Cardmaking, Rubber Stamping and tagged All-Occasions Cards, Card Making, Distress Oxide, embossing, Heat Embossing, Rubber Stamping, Stamping, Tim Holtz Distress Oxide on October 27, 2018 by Heidi. 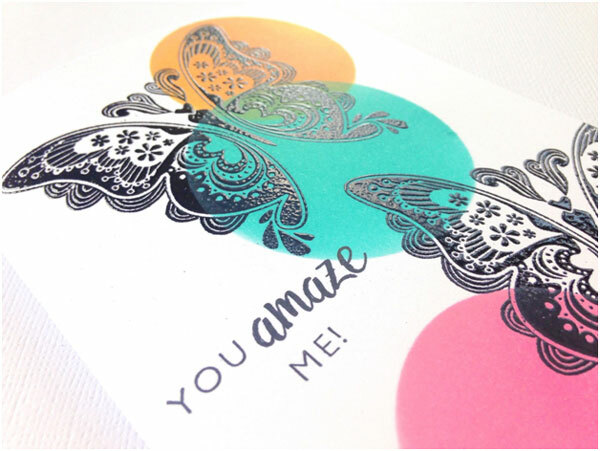 Sometimes a stamp is just so pretty it can stand alone simply being stamped with black ink. 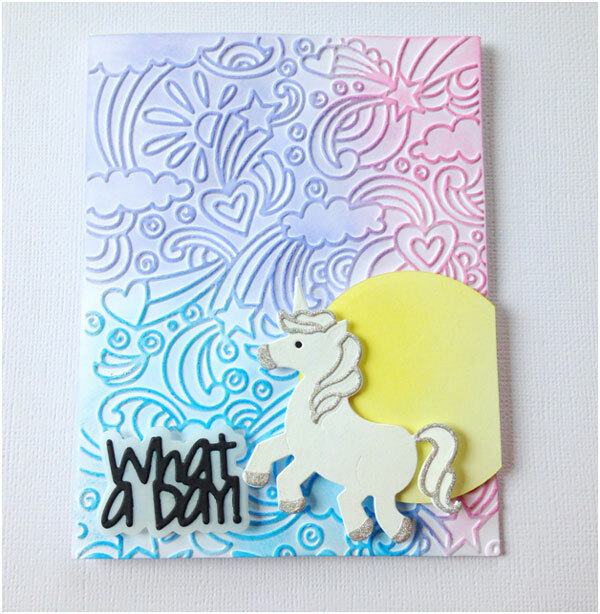 I do this sometimes with my stamps and I love the look. I do like to add pops of color here and there though for highlight. 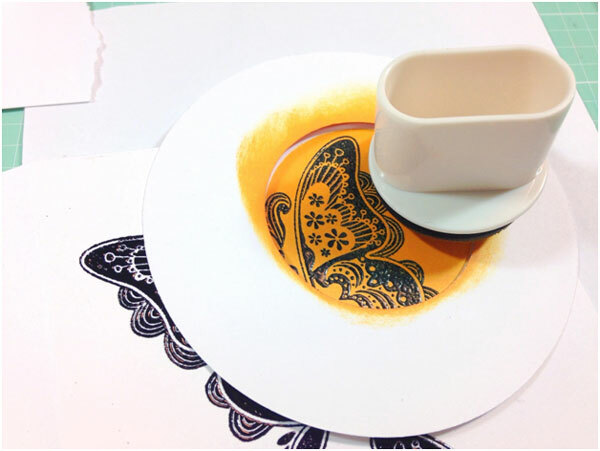 This stamp from Inkadinkado called Fancy Fauna is perfect for this technique. 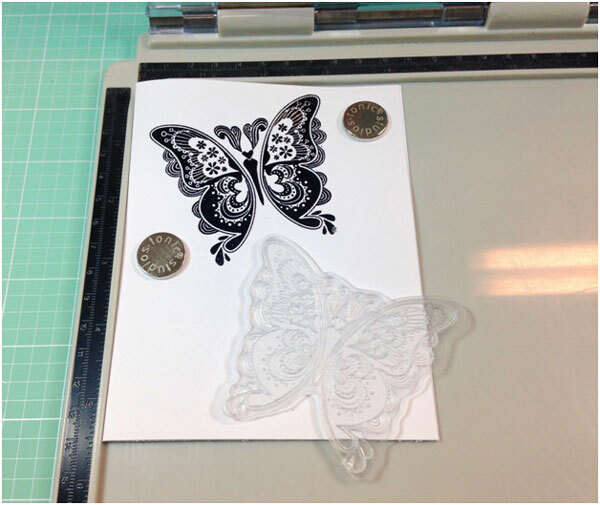 I chose the butterfly from the set, stamped it twice across a 4.25x 5.5” notecard with Versamark ink, and heat embossed it with black embossing powder. My stamp platform helped me get a crisp impression. 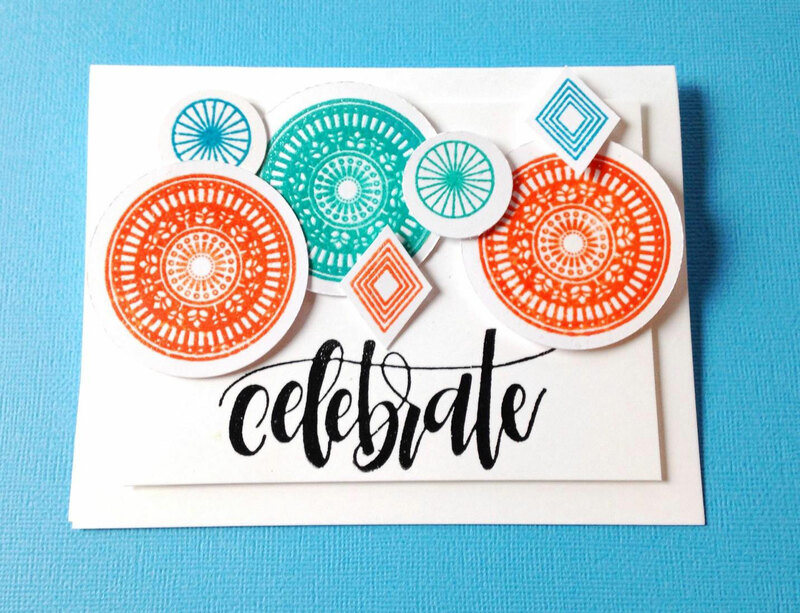 To add my color, I cut two circle masks from scrap paper using 2 sizes of circle dies and gathered 3 colors of Distress Oxide Ink. I really like this color combo of Peacock Feathers, Spiced Marmalade and Picked Raspberry. 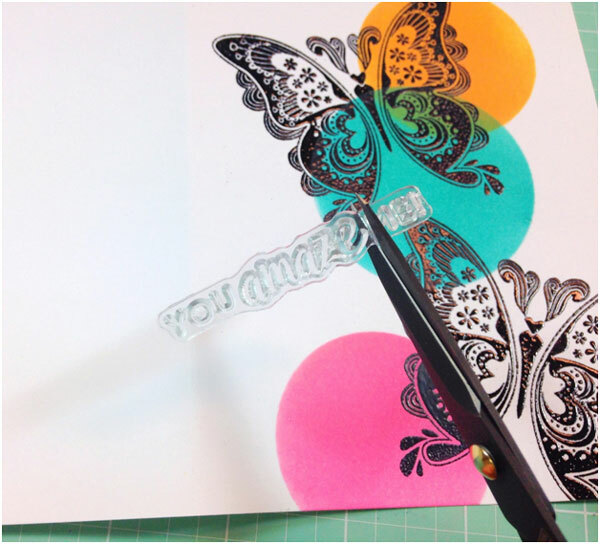 I then simply blended the ink colors over the butterflies using the masks. I connected the larger circle and smaller one and then left another smaller circle by itself for better flow. I didn’t want to cover the entire butterflies with the circles—just parts of them. I chose a sentiment from a Hampton Art stamp set, but trimmed it so it would fit in the area I needed. I do this a lot and you can easily put the stamp back to where it was and it will stamp like you didn’t even cut it. Here’s a final look at my project. 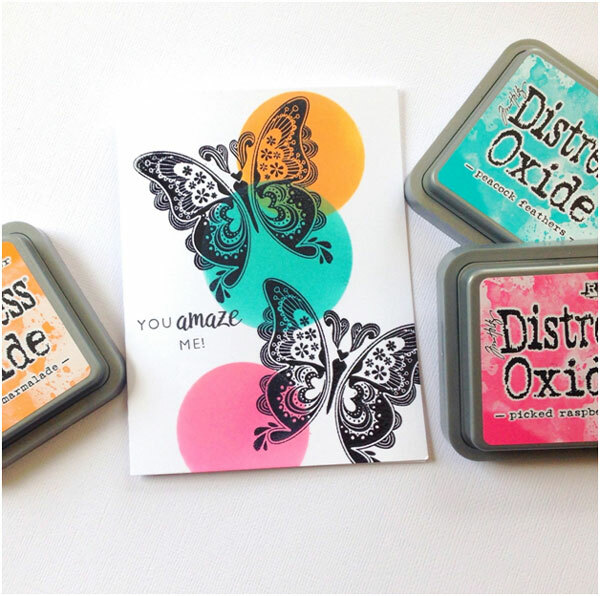 I hope you’ll try this technique with some of your favorite stamps. 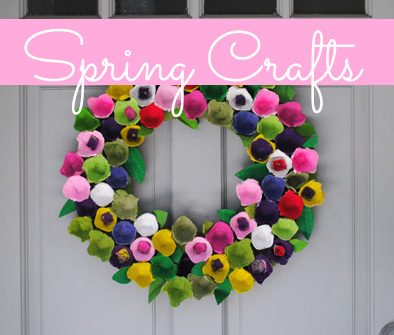 You could even try different shapes like squares or triangles. Thanks for joining me today! 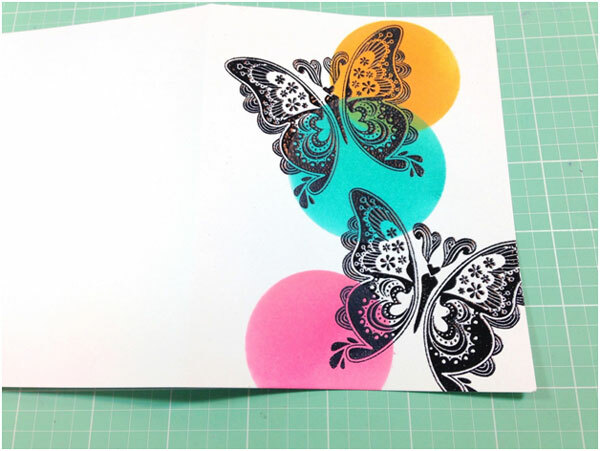 This entry was posted in Cardmaking, Crafts, Paper Crafts, Rubber Stamping and tagged All-Occasions Cards, Butterflies, Card Making, Craft Techniques, Distress Oxide, Rubber Stamping, Stamping on May 30, 2018 by Heidi.